The money, from the government’s Clean Bus Technology Fund, will help reduce nitrogen dioxide emissions in areas with poor air quality. 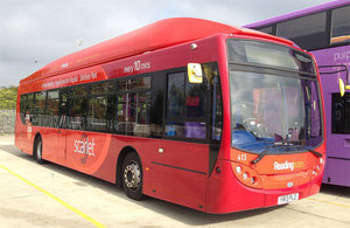 Environment minister Thérèse Coffey said: ‘I am delighted to announce a further £25m to retrofit 1,817 buses through the Clean Bus Technology Fund. ‘We all know that air pollution is the top environmental risk to health in the UK. Nitrogen dioxide emissions must be lowered if we want to ensure cleaner and healthier air across the country. The councils to share the funding are: Newcastle, Leicester, London, Bristol, Gateshead, Manchester, West Midlands, Coventry, Oxford, West Yorkshire, South Tyneside, Liverpool, Sheffield and Essex.